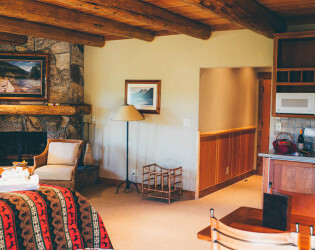 Quaint rustic, yet sophisticated western charm. 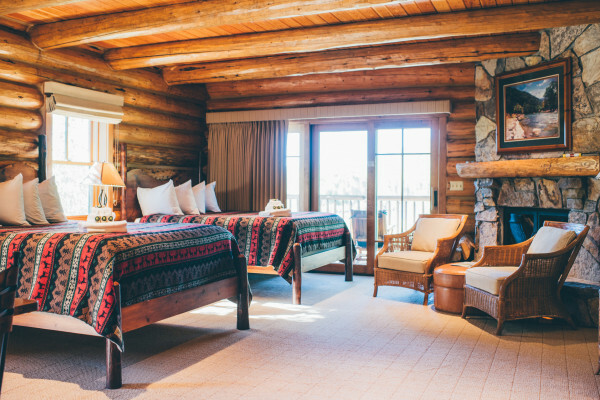 This spectacular lodge rests on the South Fork of Idaho’s Snake River, and is surrounded by lush, deep green vistas and fresh mountain air. 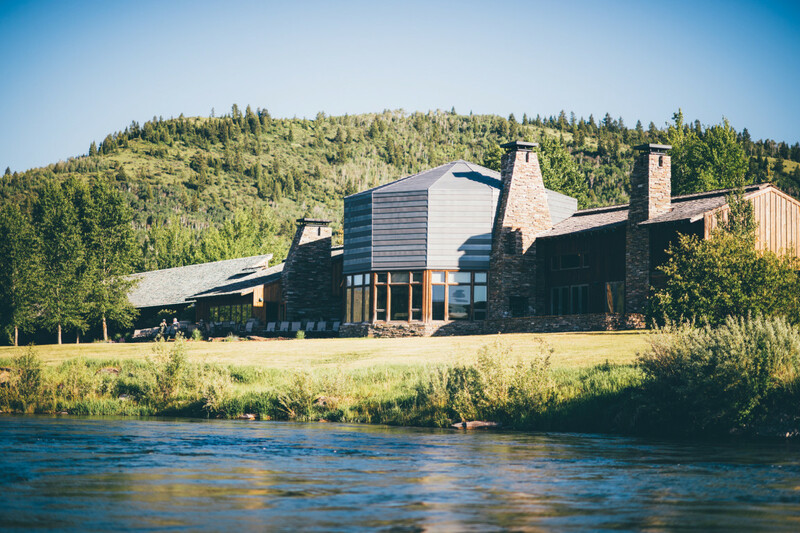 Let the Snake River serenade you on your big day at the stunning South Fork Lodge. 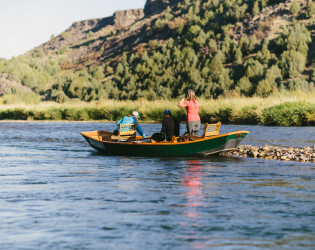 Arrive in a drift boat and pledge your love on the banks of the iconic South Fork of the Snake River, then watch the sunset over the water as you celebrate with your guests. 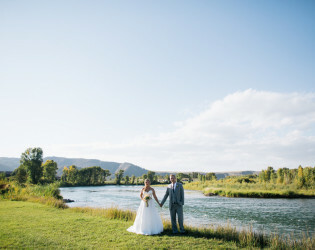 Surrounded by Idaho's natural beauty, a wedding at South Fork Lodge is a unique and gorgeous setting for the nature-loving couple. Private full access to all grounds including: grounds and fire pit on South Fork of the Snake River banks, private dining room, the restaurant, the separate bar, patio and all lodging. 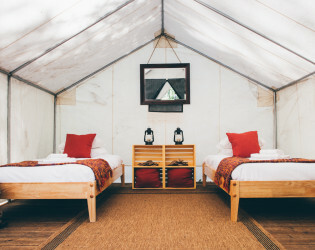 Can be rented as total buyout or each space individually. Our resident outfitters manager won the world famous fishing competition, The Jackson Hole One-Fly, twice! 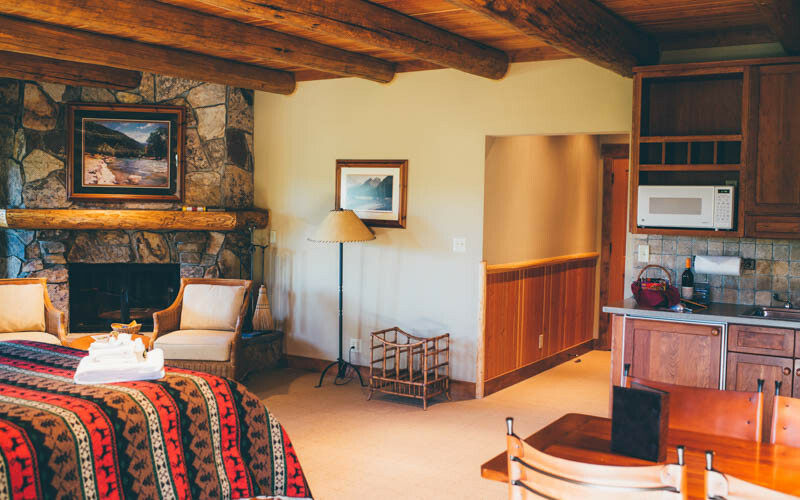 Quaint rustic, yet sophisticated western charm. 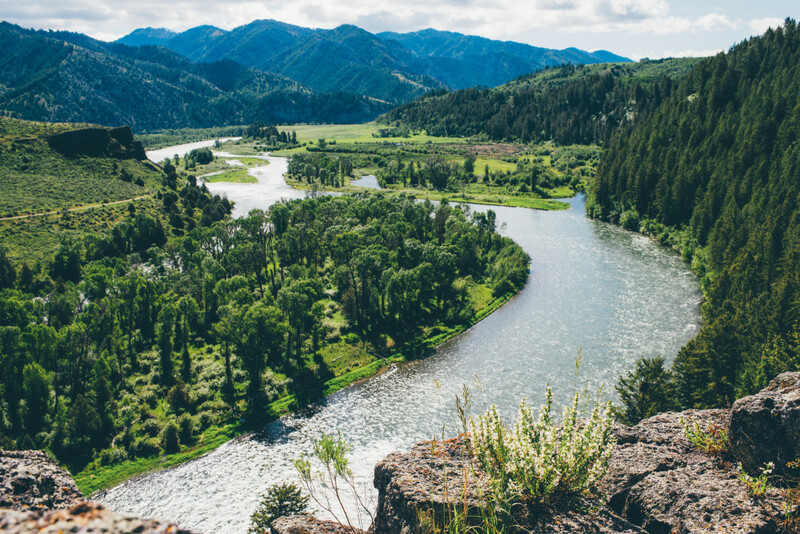 On banks of world famous South Fork of the Snake River. 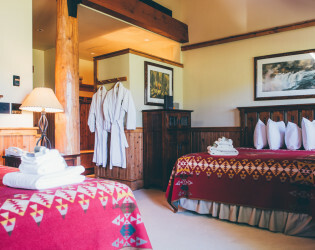 Onsite Fly Fishing Outfitters, Restaurant, Bar, accommodations. Small enough to do a total buyout which would accommodate up to 80 guests in shared beds. Surrounded with beautiful mountain views and wildlife. 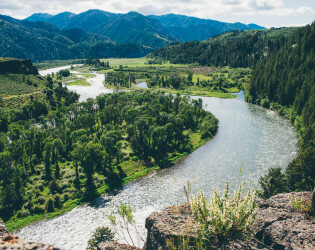 Our 65 miles of the Snake are renown, as the best dry fly fishery in the region, and is home to one of the largest populations of naturally reproducing Yellowstone cutthroat trout. 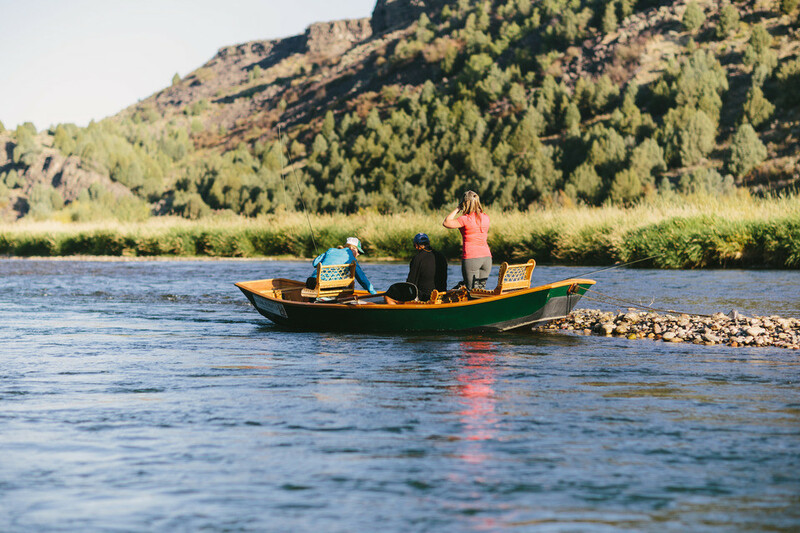 Parties interested in fly fishing during their stay will find a variety of expert guides who will be paired with you based on skill level. 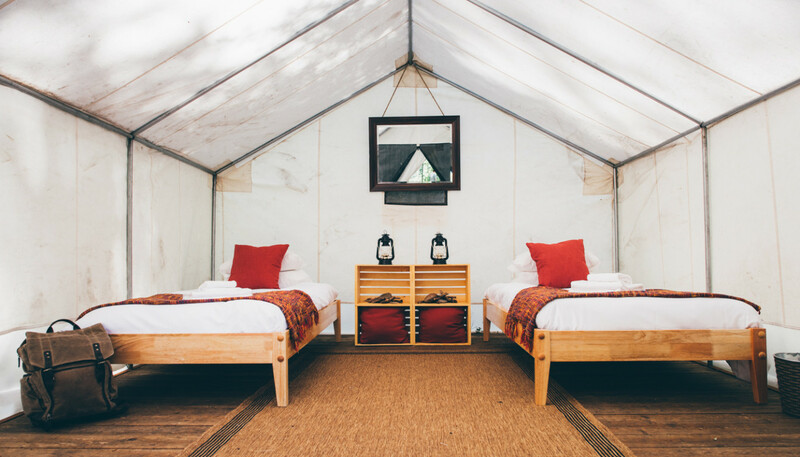 Tables, 80 chairs, and linens included in the room rental or buyout fee. 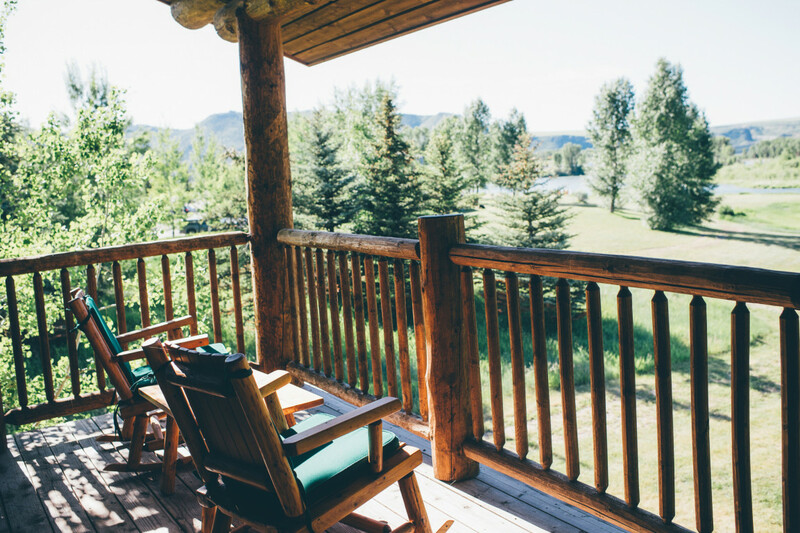 Sample our tasty, seasonal menus featuring local ingredients and enjoy the regional fare in our elegant dining room at Riverside Bar & Grill, or on our deck, which offers unparalleled views of the river. 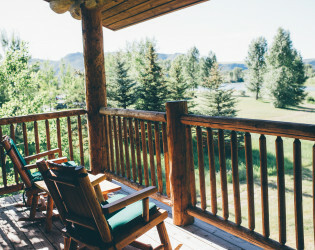 The Riverside Bar is always bustling and each evening, guests gather on the patio for a nightcap. 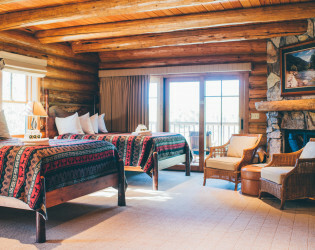 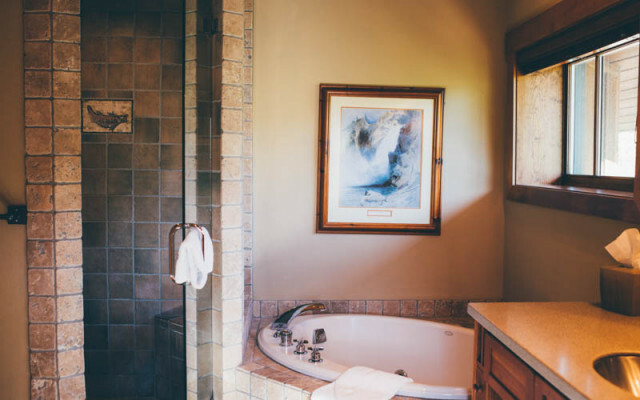 South Fork Lodge is an angler's paradise, offering experienced guides, luxury accommodations and some of the best fly-fishing waters in the country. 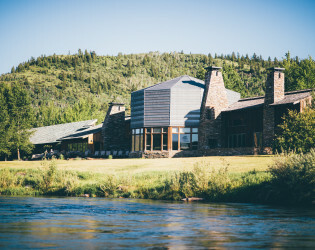 This spectacular lodge rests on the South Fork of Idaho’s Snake River. 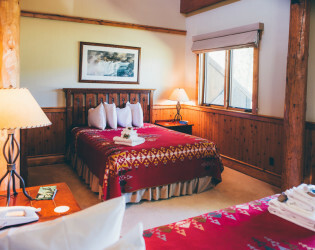 For guests who want to experience the true majesty of the canyon, an overnight trip is absolutely the way to go. 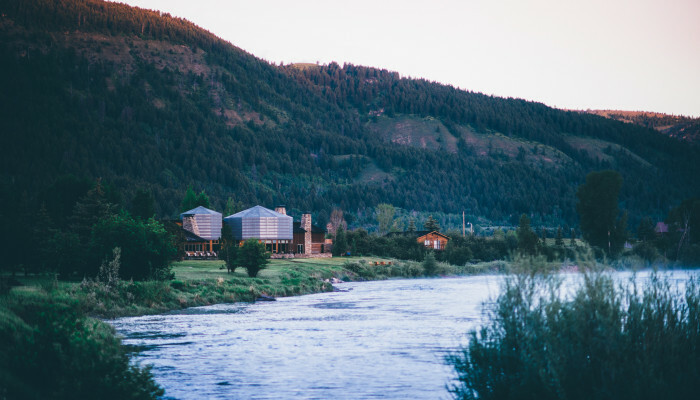 Our 65 miles of the Snake are renown, as the best dry fly fishery in the region, and is home to one of the largest populations of naturally reproducing Yellowstone cutthroat trout. 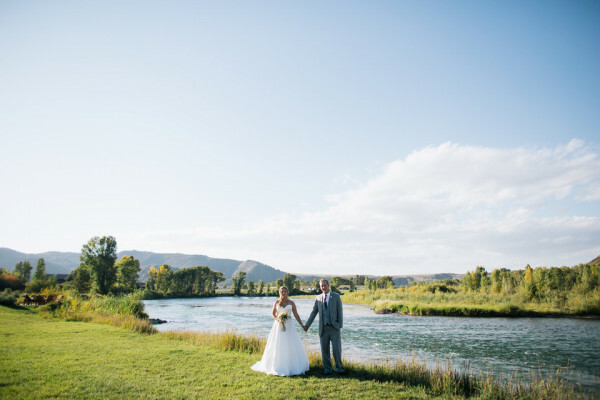 Sitting on the banks of the gorgeous Snake River, the South Fork Lodge offers one of the most scenic and memorable venues for a picture perfect wedding day. 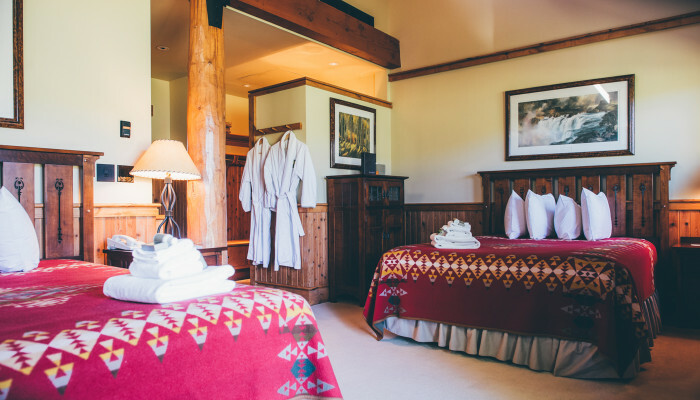 South Fork Lodge offers a special setting for a corporate retreat. 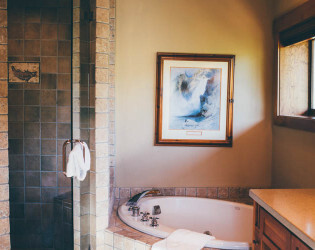 Each suite is equipped with a full bathroom, a refrigerator, coffee maker, and wireless internet. 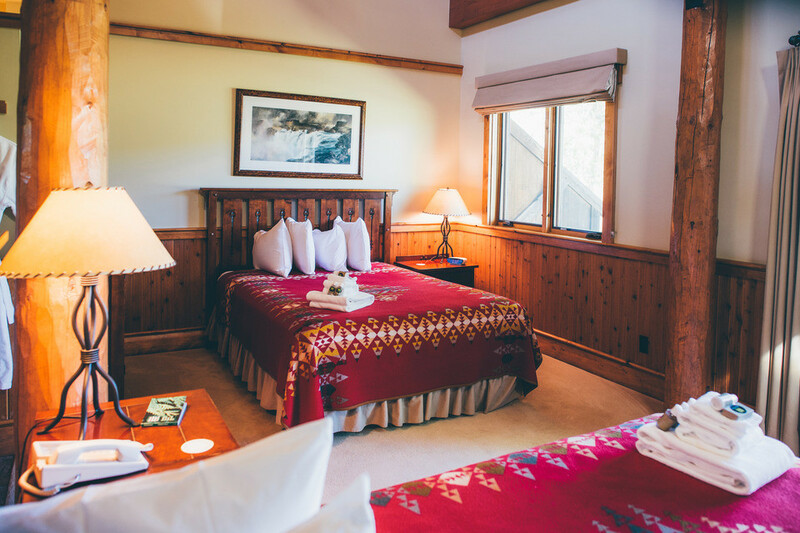 Our Lodge Suites offer two queen beds and a private terrace overlooking the river. 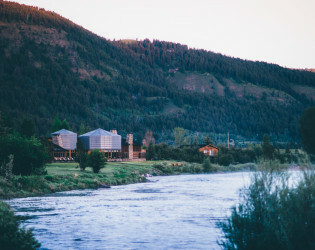 Enjoy sunset on the river.